Tomorrow sees the last Turf Moor game before Christmas, indeed the last Turf Moor game in what has been a remarkable 2017 for the Clarets, and I don’t think we could have better opposition than Tottenham Hotspur, our great rivals of the early 1960s. I was brought up on these games, cup finals, 4-4 draws at White Hart Lane when we came from 4-0 down, a big 4-2 win at home as they were romping towards the double. Players such as Jimmy McIlroy and Danny Blanchflower, Cliff Jones and John Connelly, and many other top players of the time. My first ever visit to London was to see a game between the two sides; that was the FA Cup Final in 1962. I went with my dad then and that certainly made my visit back to Wembley an emotional one in August when we played Spurs there again, this time in the Premier League. I don’t think anyone will be surprised to see them in the top seven of the league right now, but I bet there weren’t many who thought we’d be starting the game ahead of them. I was asked earlier this week when we last went into a game against Spurs above them in the table. I’m sure the answer to that question is April 1975. We were seventh in the old First Division whilst they were down in 20th and fighting against relegation; we’d both go down within two years. On that occasion we beat them 3-2 at home. Peter Noble scored twice to give us a 2-0 half time lead but Spurs came back to level with goals from Sean Dyche’s former Chesterfield manager John Duncan and Steve Perryman before Leighton James won it for the Clarets. But to tomorrow. Until very recently we had six ever presents in the team, the back four and our two central defenders. Three of that back four have now missed games and tomorrow James Tarkowski will see his ever present record for the season come to an end. That leaves just Jack Cork and Steven Defour. It’s an incredible turnaround for Defour this season, but his partnership with Cork has been a significant factor in our performances and results with Defour now looking very settled at Turf Moor. Speaking about life at Turf Moor this week, the Belgian said: “It’s the strongest group I’ve seen in my career. When we do things, we do it all together. When we have a drink or we have a dinner, we do it all together. They are the little things that make us one big group. While admitting that he likes to play with the ball and that is part of our good season so far, he added: “We have to get the balance because we are still Burnley and we have to keep that in mind. We take nothing for granted and we know we have to work 100 per cent every day to achieve what we are achieving now. The big question for tomorrow is who will line up behind the midfield. We know Tarkowski is out, starting a three match ban, and I doubt we’ll be seeing Stephen Ward any time soon. That means a recall for Kevin Long in the centre alongside Ben Mee with Charlie Taylor continuing at left-back. Phil Bardsley is expected to keep hold of the right-back position after yet another good display at Brighton, although Matt Lowton was back on the bench last week. Sean Dyche has reported that both Dean Marney and Jon Walters could be available and there is every chance we’ll see them on the bench over the next few games, if not tomorrow then in one of the later games up to New Year’s Day. Tomorrow I expect our team to be: Nick Pope, Phil Bardsley, Kevin Long, Ben Mee, Charlie Taylor, Jόhann Berg Guðmundsson, Steven Defour, Jack Cork, Scott Arfield, Jeff Hendrick, Chris Wood. Subs from: Anders Lindegaard, Matt Lowton, Ashley Westwood, Dean Marney, Fredrik Ulvestad, Nahki Wells, Jon Walters, Ashley Barnes, Sam Vokes. Spurs currently sit seventh in the league, just one point behind us and they know, following tonight’s draw at the Emirates, that they, like us, will go above Arsenal with a win. No team could have made a better start away from home than they did this season, winning their first four at Newcastle, Everton, West Ham and Huddersfield, the last of them a big 4-0 win. Since, they’ve picked up just one point from five away games. That came at Watford but they’ve lost at Manchester United, Arsenal, Leicester and Manchester City, that City defeat coming last week while we were on the way home from Brighton. Over the season so far, just the top five have scored more goals than Spurs while defensively they’ve conceded 18 which is only bettered by ourselves and the two Manchester clubs with 12 and Chelsea with 14. Of the 31 goals they’ve scored, Harry Kane (pictured) has scored 12 of them, all coming from the beginning of September onwards of course, while both Christian Eriksen and Son Heung-min have five each. Spurs have Davinson Sanchez available again after he served a three match ban while Victor Wanyama is now back in full training after a knee injury but it is not likely that he’ll be ready to play a part. They must also continue without defender Toby Alderweireld who has a hamstring injury. Harry Kane, Dele Alli and Jan Vertonghen can all count themselves very fortunate to be available tomorrow. Both Kane and Alli should have been sent off by referee Craig Pawson and only the referee will know why Vertonghen didn’t receive a fifth yellow card of the season when he gave away a penalty. All three are likely to play tomorrow. The Tottenham team at the Etihad last Saturday was: Hugo Lloris, Kieran Trippier, Eric Dier, Jan Vertonghen, Danny Rose, Harry Winks, Mousa Dembélé, Christian Eriksen, Dele Alli, Son Heung-min, Harry Kane. Subs: Michel Vorm, Serge Aurier, Juan Foyth, Fernando Llorente, Ben Davies, Moussa Sissoko, Erik Lamela. What sort of game will we get? 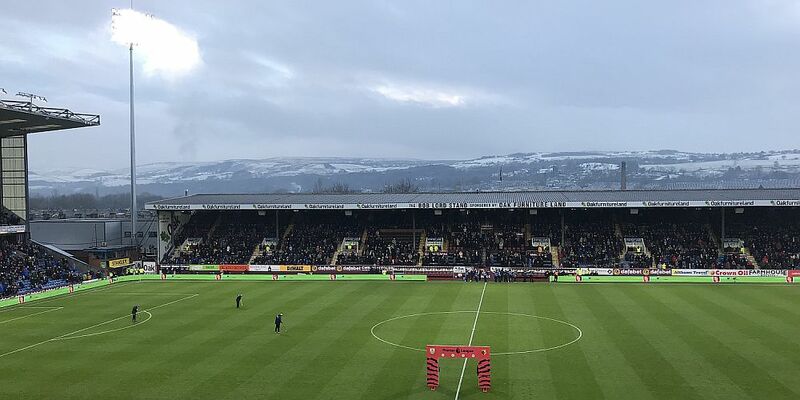 The Match of the Day commentator at Burnley tomorrow is Guy Mowbray and he said: “Don’t expect a Match of the Day leading goal fest, you don’t get loads of goals at Turf Moor. But don’t mistake that for a lack of entertainment. Spurs brought to and end our longest unbeaten home run in the Premier League. It had seen us win five consecutive games at Turf Moor which had been followed up with an outstanding 1-1 draw against champions elect Chelsea. Ahead of the game there was a warm reception for Tottenham’s Kieran Trippier. He’d got a starting place and the supporters of his former club welcomed him back. That was nothing though compared to the reception for Michael Keane who, since our previous game, had made his England debut. Spurs probably started the better of the two sides but we grew into the game and by half time we were looking the better and more likely. Embed from Getty ImagesBut it was a different story in the second half. Spurs started to get control back and took the lead just about half way through with a goal from Eric Dier. It was a poor goal to concede; Jeff Hendrick playing a corner right into Dier’s path, and we never looked as though we might get back into the game. Son Heung-min wrapped up the points for Spurs some 13 minutes from the end. By then they were looking every bit like title challengers and this was probably, overall, our most disappointing home performance so far in the season. We did drop two places to 15th but still had a five point lead over Hull who occupied 18th position in the table.